WELCOME TO THE MOST ADDICTIVE FUTURISTIC GAME. 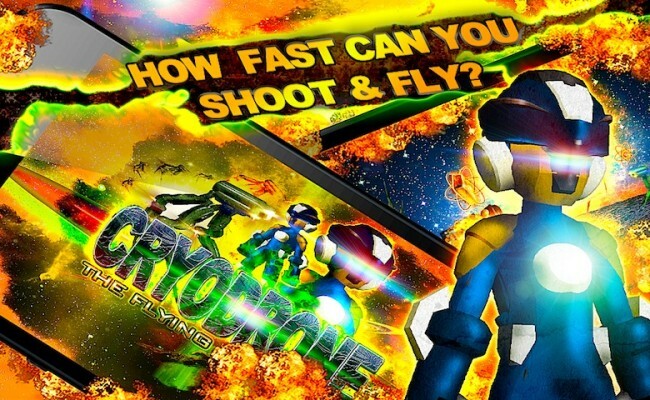 Race, shoot and collect coins in a galaxy mania! 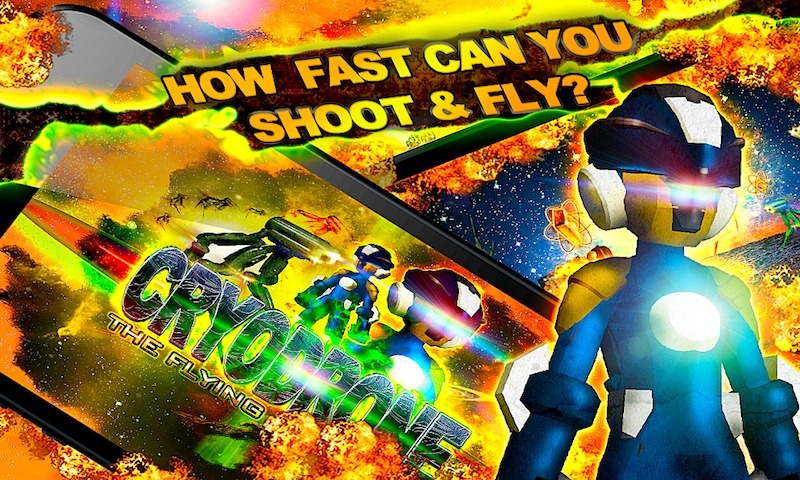 "CRYODRONE: The Flying Jet Robot" Simple and free racing shooter game in a deep space war! 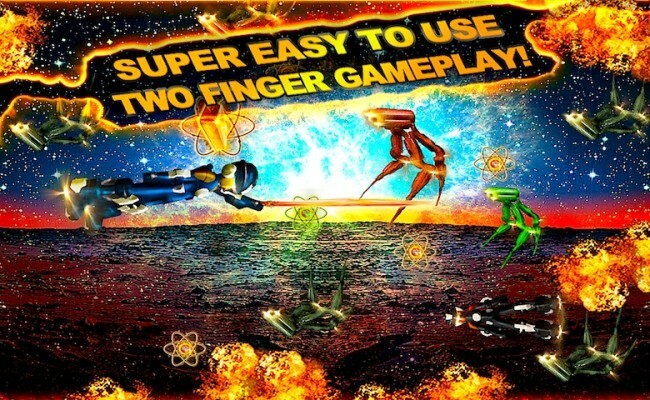 Small game that will not make your Android device run empty of space in its internal memory or sd card! 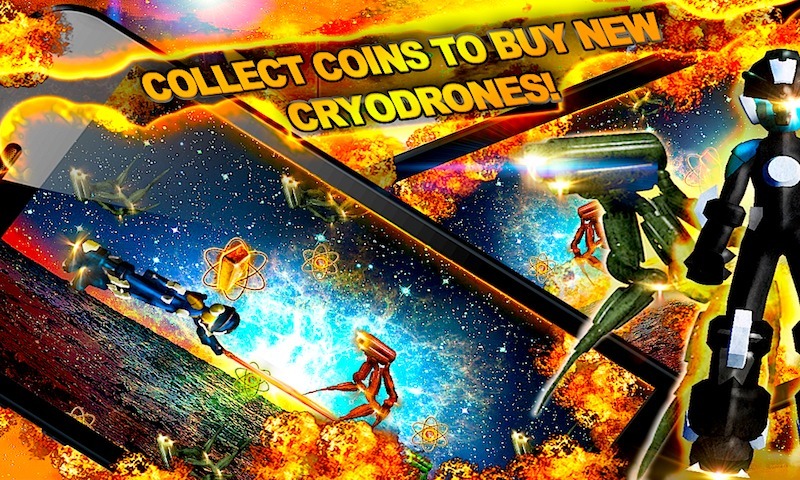 In a distant future, Cryodrones have replaced human beings as a species. Using top of the line technology, humans, in their need for survival, were able to copy their minds into modern hard drives and live forever. But now the Cryodrones face a terrible space war with other robot like, non biological star entities called the Minodrones that wish to terminate their species from this Universe. 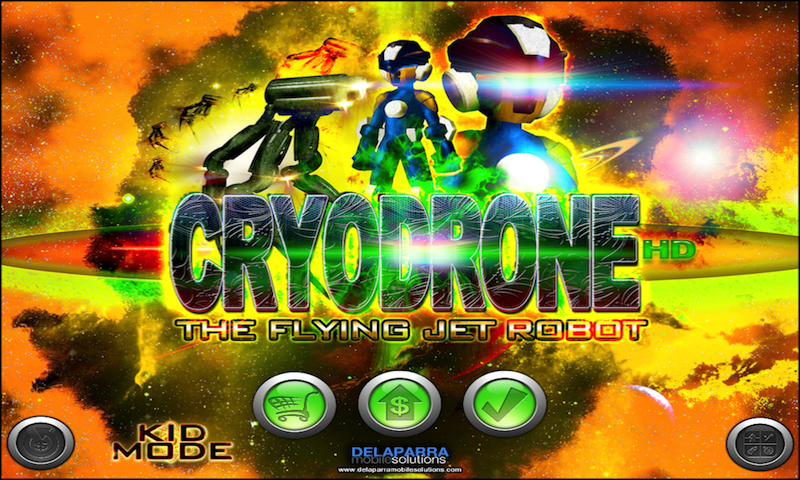 In this modern fight you will help Cryo X1 Kokotori and his Cryodrone gentleman allies, all having special construction and modifications, in this awesome combat to gain control over the aliens in a hot pursuit race with jetpack propulsion and laser-gun ammo.